Things have been going very well for Highland in recent times - and now two of the Inverness club’s players are representing them on the world stage. The Scottish-based invitational team PROJECX Waterboys has a great history of giving up-and-coming young talent from the Tennent’s Premiership and beyond the chance to shine in some top-quality sevens and 10s events around the globe. A couple of weeks ago, Highland’s Oscar Baird was part of the squad that headed out to the 48th Cobra 10s in Kuala Lumpur while this week his club team mate Andrew Findlater is with the select side at the Dubai Sevens taking part in the International Social event. Second-row Baird and back-row Findlater played their part as Highland won the National League Division Three title in 2017/18 while the Canal Park men have begun life well in National League Division Two. And 22-year-old Baird loved his Malaysia experience. “It was my first tour with the Waterboys so I wasn't quite sure what to expect going out there, but once I got to know the boys and had a run out with them, I had a great time,” he told TRU. “The biggest thing for me was the heat and the humidity. It was a bit of a shock to the system playing in the muggy conditions. The other teams in the tournament were from all over so it was interesting to see the different styles and such like. “We had a fair bit of time to ourselves over the week so it was great to be able to have a look around and explore a part of the world I've never been to before as well. “It was a massive honour to be asked to play in such a tournament and I know it means a lot to Highland having players asked to join these tours. “With myself and Andrew getting these chances with the Waterboys, it hopefully opens the door for other Highland boys to experience top quality tours too. Baird played rugby at school, but did not join Highland until 2012 when he began turning out for their age-grade teams. “I loved the progress from that into senior rugby and haven’t looked back,” he explained. The Waterboys have two squads in Dubai - one in the International Open competition and one in the International Social event - and after success in 2017, they are after more this time around. As mentioned Findlater, 27, is in the latter squad and ahead of the matches starting on Thursday he said: “This is my first appearance for the Waterboys! I was invited to play in Dubai a while ago when I was at university but couldn't through injury. As a result, I am very much looking forward to this chance. “I'm expecting a very high standard based on some of the names that are down to playa nd I am very proud to represent Highland out in Dubai. The fact that lads from Highland are getting asked to represent the Waterboys in big tournaments is a credit to everyone at the club. 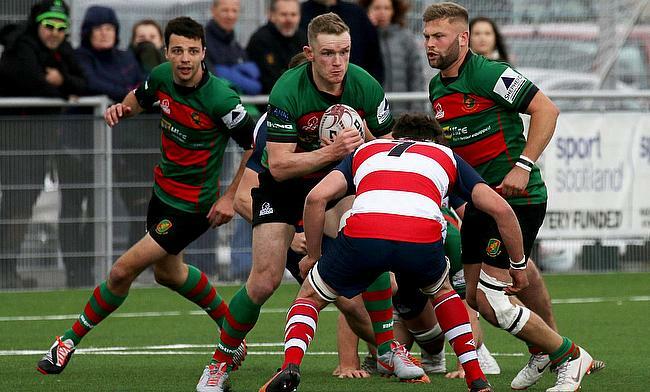 “I am a Highland boy and I played all the way through the youth sides and into the senior team for two seasons before going to Edinburgh for university. “I played for five seasons with Edinburgh Accies which was great and now I have been back at Highland for the last three or four years and I am enjoying being part of the rebuild the club is going through. “As well as the firsts going well, the second XV are undefeated this season and the strength in depth that we have is much improved and is helping us to continue to move forward. Once again PROJECX, International Power and Water Investments, JA Resorts & Hotels, Ace Property Management, Sarcogent Solutions, Orion Systems, 4 Navitas and Bureau are supporting the Waterboys team. They also have a range of new sponsors including Cold Town Beer (Signature Pubs), Arbikie Distillery, and KW Special Projects with Akuma Sports as the equipment supplier. Waterboys Rugby support the My Name’5 Doddie Foundation and gifted the main sponsorship space to the foundation. Findlater and co will first take to the field at 9am local time (5am UK) on Thursday and will be in action until the weekend. The World Series event featuring international teams takes place on Friday and Saturday.